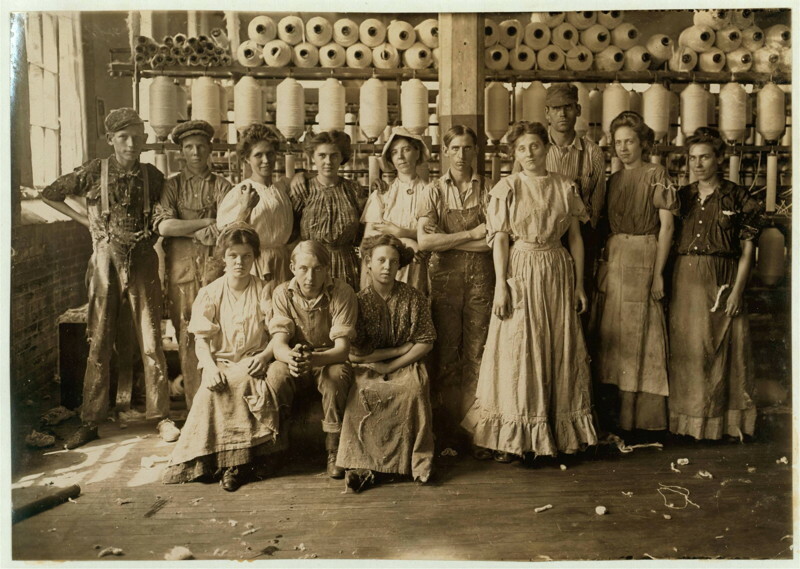 Four photos of vintage work crews. Links to fullsize images with each photo. 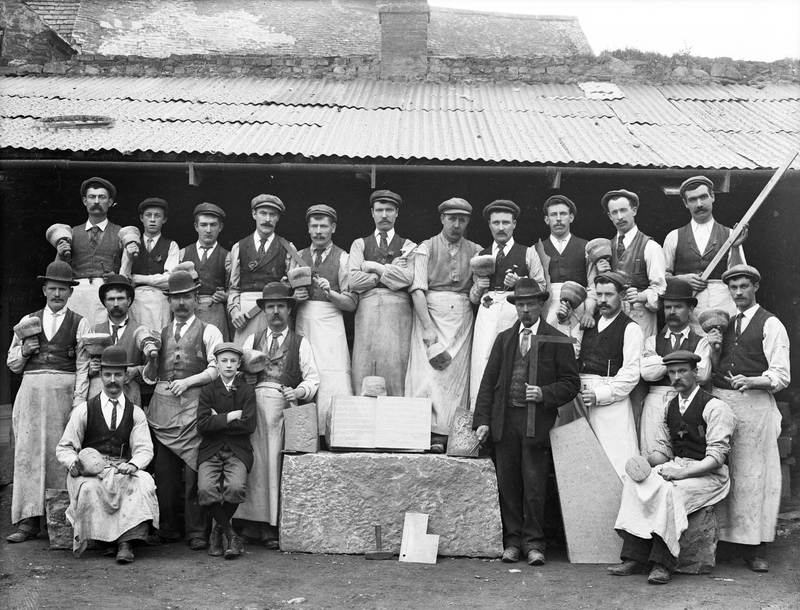 Stone masons. Waterford, Ireland, 1903. 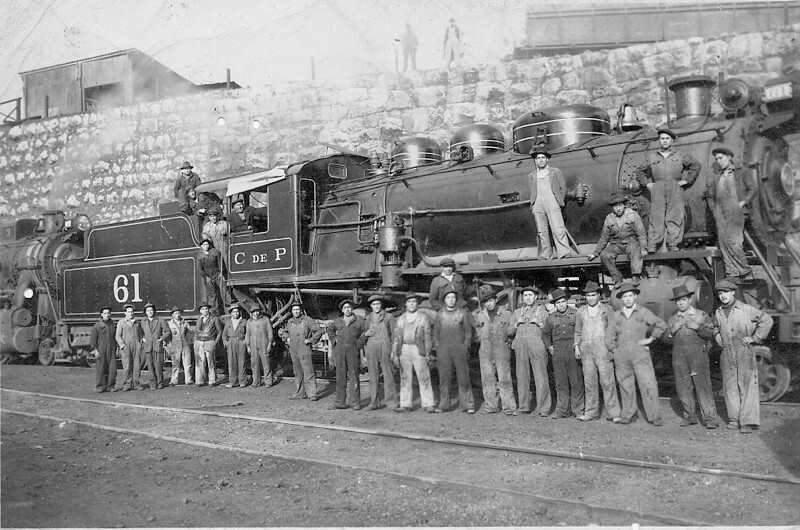 Railroad workers. Cerra de Pasco Railway, Peru, 1920. 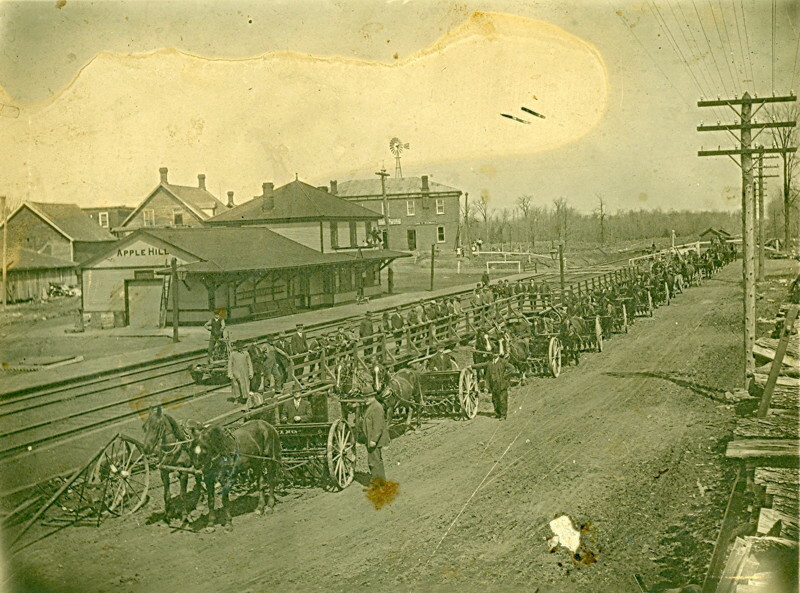 Farmers lining up to ship their produce and livestock at the Apple Hill train station. Ontario, Canada. Undated. 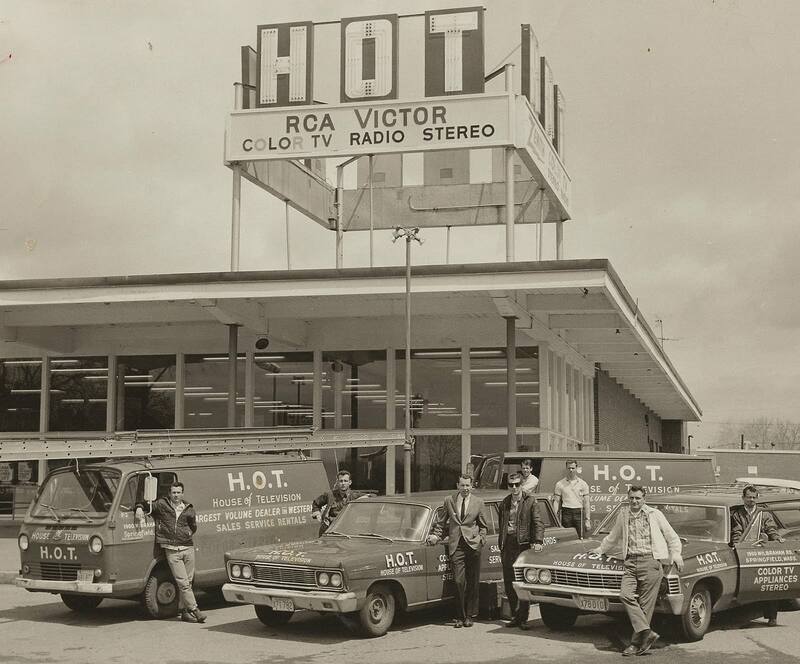 Television repairmen. Boston, Massachusetts, 1970. In the picture of the farmer it looks more like they are lined up to go seed a wheat field than buy or sell livestock or produce. Cotton mill workers. Indianapolis, 1908. Last edited by Al8236; 01-07-2018 at 04:42 PM. From the time you're born till' you ride in a hearse, there's nothing so bad it couldn't be worse! 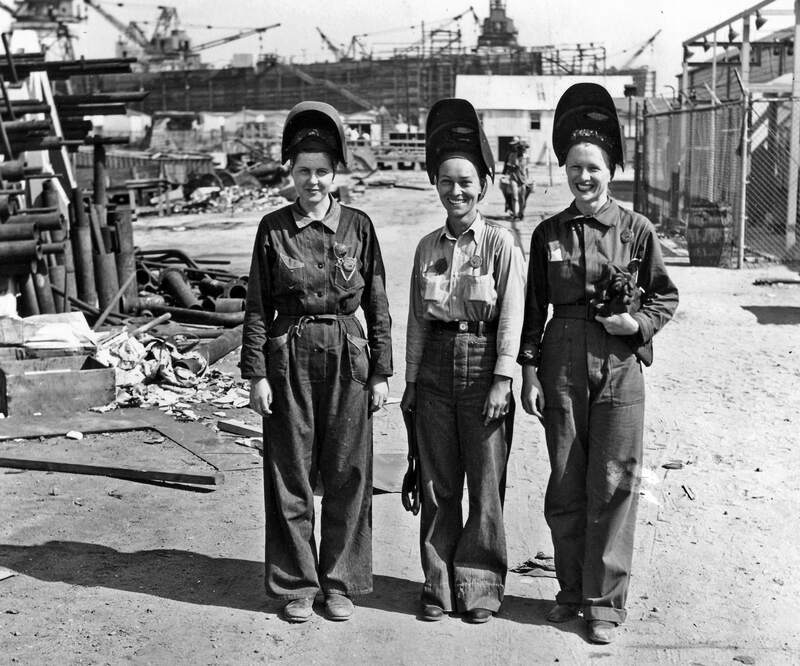 Welders at Alabama Dry Dock and Shipbuilding Company in Mobile, Alabama, 1944. That last picture reminded me of years ago a young lady came to my shop to apply for a welder's position. We all know the saying about first impressions, but this was one time my wife and I both were glad we could look beyond the first impression stigma, which was admittedly quite difficult. My wife did most of the prescreening of job applicants. having them fill out the forms getting a brief work history background and explaining our policies and requirements regarding work place safety showing up for work in a timely manor, wearing the proper personal protection equipment and clothing where and when required designated work area housekeeping no horseplay, things like that, before they were sent to me. So when I saw my wife heading over to where I was with this young woman in tow I was confused. From her attire a pair of micro Daisy Dukes cut offs that would not have gotten past censors in even an R rated movie and a sports bra and tennis shoes I wondered why my wife would be bringing her to meet me unless the young woman was in need of help or something. This is Susan my wife said and she is here applying for a pipe fitter/ welder position here is her resume and application form. After briefly scanning the papers I said, Susan please don't take offence but I cannot take you to the welding area and let you take a test wearing what you are almost not wearing out of safety concerns for both yourself and the men and the other female in there working the first thing that will happen is one of them will trip over their tongue and break a leg or something. I'm sorry sir for the way I am dressed it was not my intention to apply for a job in shorts but it is a 40 mile drive one way for me to go home and change I saw your sign on my way to visit friends but really needed a job so I stopped. I have my welding gear in the truck of my car if you will give me a couple minutes I'll get it because I really do need a job and I promise you I won't let you down. 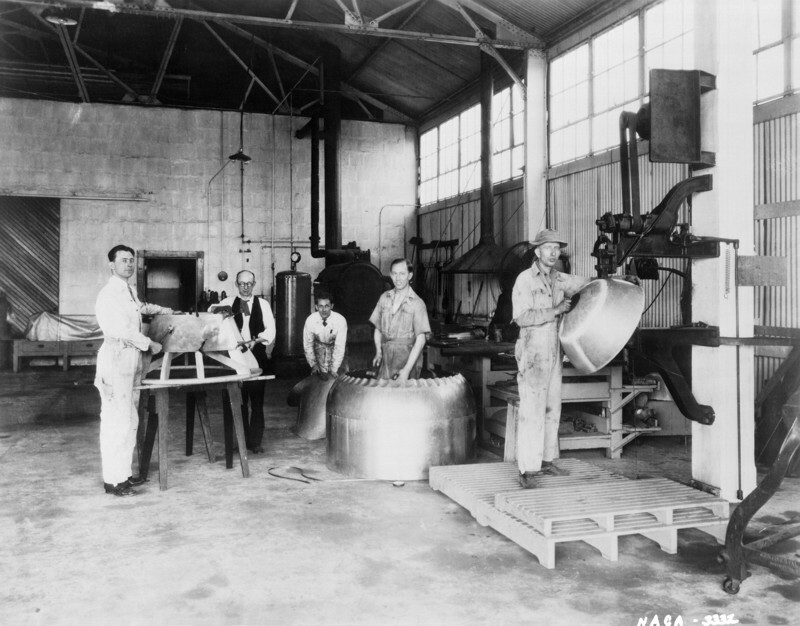 Making cowlings for airplanes, 1928. 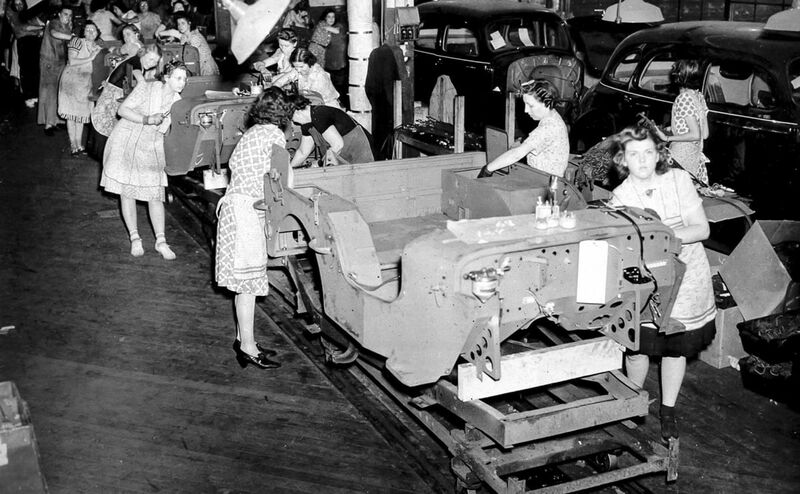 Jeep assembly line at Willys-Overland Motors plant. Toledo, Ohio, 1941. Skirts, aprons and heels on an assembly line. My how times have changed. Moreover, I can't even see any tattoos.